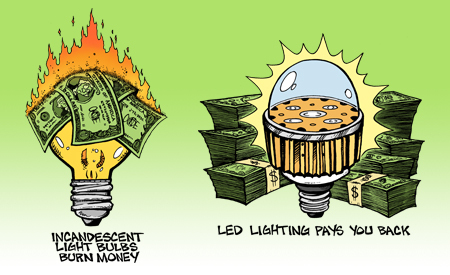 * Using incandescent lights is like driving a car that gets one mile per gallon of gas. It wastes precious energy resources and burns money. * LED lights may seem more expensive at first, but they pay you back in 1–2 years and keep saving you money and energy for every year thereafter (they last for more than a decade of normal use).